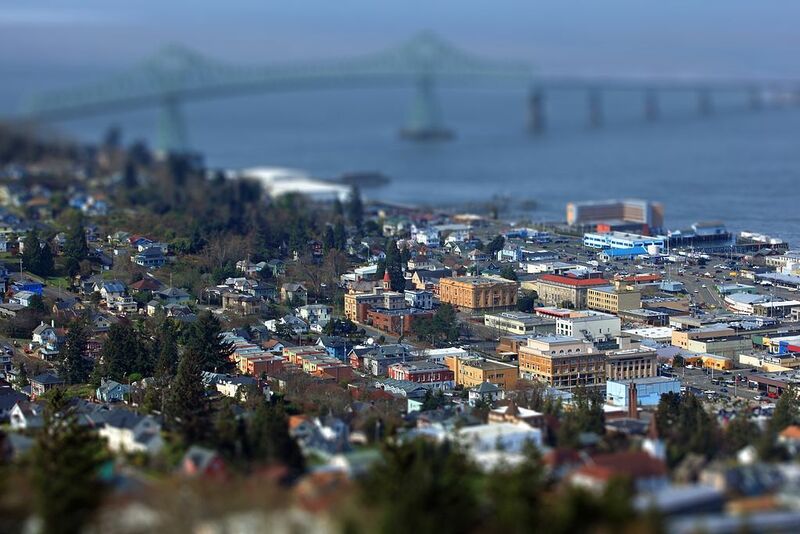 Astoria Oregon was named by the Smithsonian Magazine as one of the 5 Best Small Towns to Visit in 2013. Astoria was once a thriving fishing and lumber town, with the salmon industry, canneries, and lumber mills earning people their fortunes, and giving the city the title of “Little San Francisco”. But as time passed, overfishing and other factors caused the once-wealthy & industrious town to dwindle. In the 1980s, the town began to revive, as pier improvements made it a welcome stop for cruises, and other renovations and improvements helped to bring tourism to the forefront. The town of Astoria has a number of interesting attractions and events throughout the year. One of the most noteworthy is the ‘Astoria Column’, a 125 foot tall tower set atop Coxcomb Hill. The inside of the tower is a spiral staircase leading up to the top, where there’s an observation deck, giving you a bird’s-eye view of the town, the Columbia River, and the surrounding countryside. On the outside of the column is covered from top to bottom in a spiral mural, depicting 14 important events in early Oregon history. Another of Astoria’s most famous & popular attractions is the Astoria Riverfront Trolley, an old streetcar built in 1913, which runs along the bank of the Columbia River. Rides on the Trolley last about an hour, and cost $1/person. The trolley generally runs May through September. Astoria’s Scandinavian Festival has been an annual June tradition for more than 40 years, and is definitely something you should check out. For more than 15 years, the Fisher Poets Gathering has held an annual event on the last weekend of February, with several dozens of poets, singers, and storytellers telling the tale of the fisherman. It’s a great event that has been featured on the Today Show, and by the Smithsonian Magazine, and was even the subject of a documentary. Lodging for your stay in Astoria can be found here. The beloved ‘Goonies’ was set and filmed in Astoria.